When Should I Let My Kids Wear MakeUp, Get Piercings, and the Rest? Just recently, my 10-year-old daughter has been begging me to let her wear makeup to school, which I’m 100 percent against. Of course, this ongoing conversation is remarkably similar to one we had just two years ago, when I refused to let my then eight-year-old get her ears pierced. To be honest, though, I don’t think I handled the earring thing properly, and with the makeup, I’d like to do this one right. It seems like a bigger deal to me somehow — it just seems so grown up! Without her mother here to help me make the decision, I’m really, truly in the dark. I also got to wondering about my son, who is currently six. What if he decides that he wants to wear makeup at some point? Do the same age rules apply to him, or is that a situation to be handled completely differently? As a single, non-pierced, non-makeup-wearing dad, I have no clue how to navigate these waters, so I could use a little guidance. Basically: When should I let my kid wear makeup, get their ears pierced, and things like that? Wanda, a stage makeup professor and mother of a transgender child: If your child wants to play and experiment with makeup at home, I believe that any age and any gender is perfectly fine, as this is a form of artistic expression. When it comes to children wearing makeup publicly, personally, I don’t like it much before junior high. In this day and age, the further along we can have them hang on to being young the better. It also gives you something to look forward to: Be seven when you’re seven, don’t try to be 14 when you’re seven. It’s kind of old school to think that way, but that’s how I feel about it. As for boys wearing makeup, I don’t think the rules should be any different than if you have a daughter, although you’d want to have a discussion with them about how they need to be true to themselves, and explain to them that some people may not agree with what they’re doing or that they may poke fun at them. But if this is who you are, then you be you. Rachel Smith, registered nurse and owner of Clinical Ear Piercing in SoHo, NYC: There are two very specific camps of people who I cater to. The first group are the ones who bring their babies in, and for them, I always recommend that the best time to bring a baby in is between two and eight months. This is because two months is when a pediatrician will generally give the go-ahead, because they’ve have their first set of vaccinations, and at this age, it’s easier for the parent to hold the child during the piercing. I’ll do it up to about 12 or 13 months old at most and then that’s the cut off. At this age, the baby doesn’t have any preconceived notions about pain, so they’ll cry for maybe five seconds because they’re just feeling the piercing instead of having all that fear to go with it. They cry for maybe five seconds because all they feel is a tiny prick — I even use topical lidocaine as an option to dull any pain they might feel. It’s surprisingly easy at that age. From about 13 months until four years old is a no-go zone, and I personally won’t do a piercing at this age. This is a puncture wound, and we’re trying to heal it with a piece of jewelry. This takes care and effort and it means you can’t touch your ears and you have to have clean hands. This is very hard to explain to a young child. The second camp I cater to are children from ages four and up, but I recommend that people wait until about age seven to 12. At this age, they’re more able to sit still and understand what’s going on — you want them to have a good, positive experience. Parents should prep their child and ask them questions: Ask them why they want them, ensure they understand that they have to take care of them for months and that there may be a little pain involved. After that prepping, if the child is a little nervous, but mostly excited, then they’re ready, but if they’re paralyzed with fear, I would tell the parent that the child isn’t ready. It’s also important to know that earrings must stay in consistently for almost a year so that the holes don’t close. You can’t start taking them in and out for soccer practice or anything like that because they’ll probably get an infection. They may even close within that hour they were in practice. Before getting pierced, find out from their coach if they can tape their ears with medical tape. If not, you should wait until there’s a period of three solid months where they won’t have to come out. When you’re deciding where to get your child’s ears pierced, you want to be sure that the person doing it has a lot of experience. Any place you’d find in a mall where they’ve trained someone who isn’t a medical professional or a professional piercer is an absolute no. Even if you go to a pediatrician, you should ask them how often they do piercings, because if it’s just one or two a month, that’s not enough. A piercing studio that caters to children may be okay, but I’d check with the health department for any violations. I’d also ask them how many children they pierce, what kind of materials they use and what kind of metal they pierce with. The answers you’re looking for are medical-grade titanium, medical-grade plastic or 14K to 18K gold (and sometimes children are allergic to the gold, so preferably the first two). Also, I have strong feelings about cartilage piercing, and I won’t pierce cartilage for anyone under 18. Following a piercing, there will be pain for months on end, and I don’t think it’s appropriate for a 13-year-old to be in pain for that many months from a piercing. As for gauges, I don’t recommend them because it takes months and months to stretch the hole and it doesn’t shrink back — a child has to have plastic surgery to correct the ear because it’s permanently deformed. I don’t think any piercing shop would gauge anyone under the age of 18, or they shouldn’t, anyway. Dr. Candrice Heath, board-certified pediatric dermatologist: Ear piercing is a personal family decision. However, research shows that the earlier the ears are pierced, particularly before the age of 11, it’s less likely to result in keloid scarring (a scar that grows well beyond the initial site of the injury). 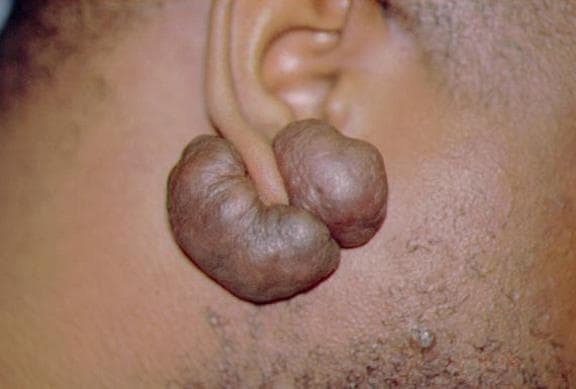 Those of African descent and those with a family history of thickened scars are at higher risk for keloid scar formation following ear piercing. Most of the patients I care for who have keloids of the ears often report that the piercings they received as babies didn’t keloid, but it was the piercings received in adolescence and adulthood that resulted in keloids. Al Vernacchio, sexuality educator: As a young and deeply closeted gay kid, I loved Halloween. It was the one night where I could “test” out different ways of looking, dressing, and being without fear of judgement or harassment. I don’t mean dressing up like a girl — I mean I could dress like a pirate, a Roman emperor, a Revolutionary War soldier, one of the Fruit of the Loom guys or a superhero and live out some part of my identity I felt I had to keep hidden every other day. When parents ask me about kids wearing makeup or trying an out-of-the-ordinary costume (maybe even a gender-bending one) on Halloween, I encourage them to let their kids go for it. Nobody is expecting a Halloween costume to be a statement of identity, but for some kids, it might be, and it’s a safe, acceptable way to try it on for a few hours. There’s no harm in that, and it can be a big help to some kids. When it comes to wearing makeup on other days, my guiding question is, “Will wearing makeup enhance my child’s authentic expression of themself?” If the answer is yes, it seems like an okay thing. If the answer is no, it doesn’t. People wear makeup for all kinds of reasons and not all of them are healthy. Makeup used to hide oneself, to deal with feelings of inadequacy or shame, to look older than one is or to be popular and go along with everyone else aren’t, in my mind, good enough reasons to say yes — no matter what the age or gender of the child. Can a boy paint his fingernails or wear eyeliner and still authentically be a boy? Sure! Can a girl wear no makeup at all and still authentically be a girl? Of course! We want to raise kids who dress, act and adorn themselves in ways that celebrate who they uniquely are. Not every kid knows this (some adults don’t either), so a certain amount of experimentation is also to be encouraged. At some point, something will feel “just right,” or “natural,” or will bring someone peace of mind and heart. If we limit a kid’s choices because of some arbitrary rules they might never experience that. What parent wants that?